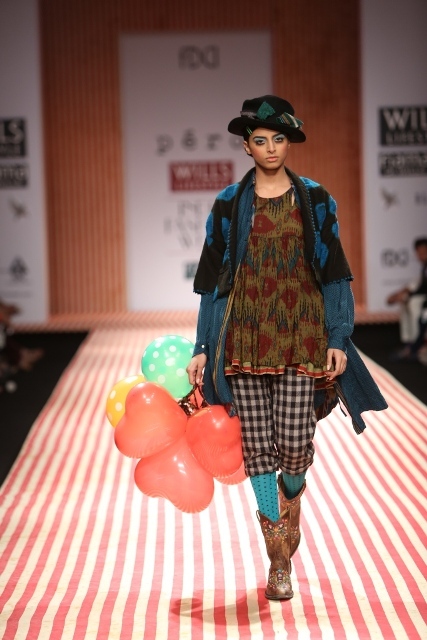 The hottest ticket in town was the Manish Arora’s closing show for Wills Lifestyle India Fashion Week Autumn/Winter 2013. “Squeeze up some more!” were the cries from the pretty PR organisers to the press pack as we shuffled this way and that to make room for late arrivals. 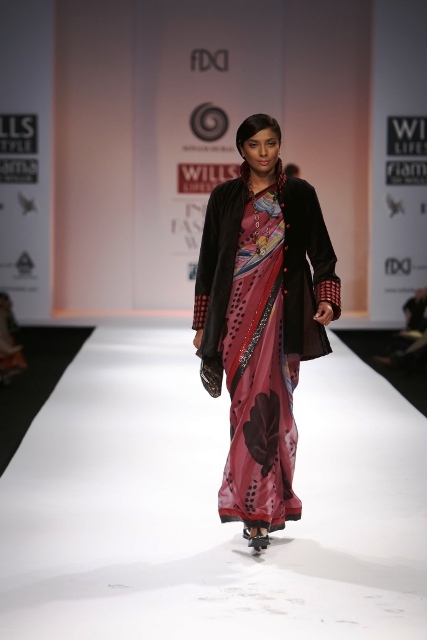 Payal Pratap and Rahul Mishara’s presentations were sponsored by Fiama Di Wills, the Indian beauty product giant. 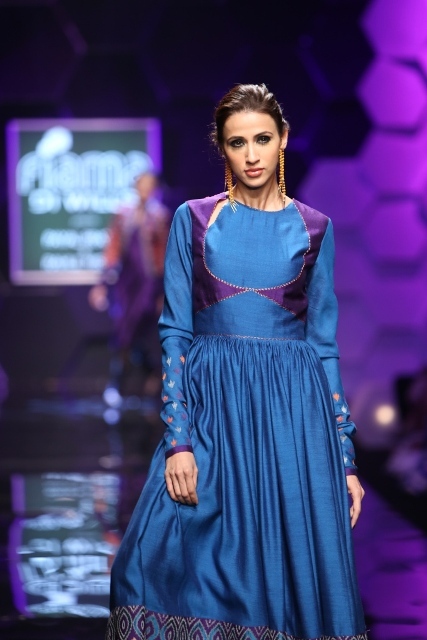 Under the theme ‘Be Young’ both collections pined for yesteryear. Roll Up for Day 4! 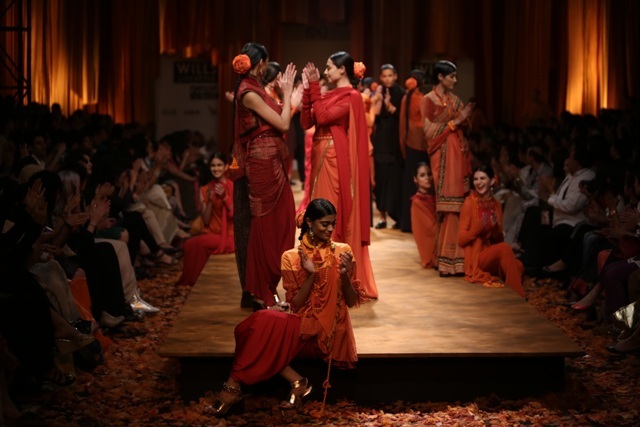 Styled and visualised in the theme of a circus, the circus was not actually cited in the show notes. 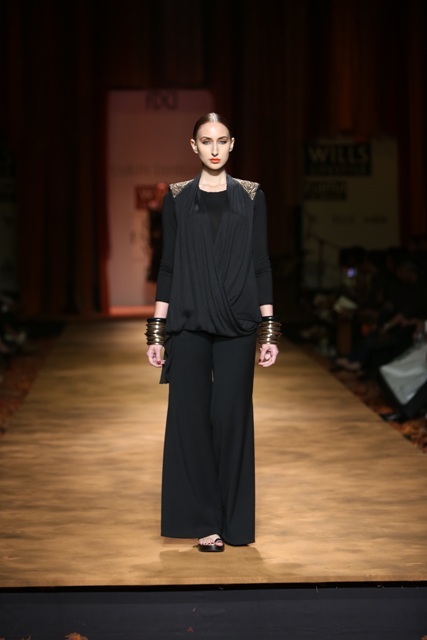 Pero by Aneeth Arora is the winner of Vogue India’s first Fashion Fund and this was her first presentation since winning the award, for which she received the cash prize after the show. 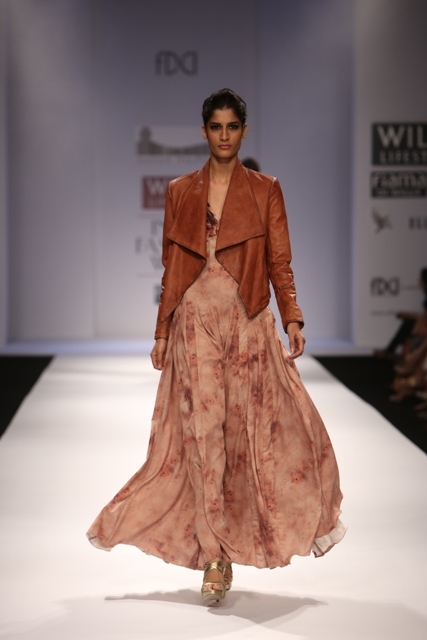 Internationally regarded designer Sonam Dubal’s Autums Winter collection was in essence bohemian, loose and flowing. 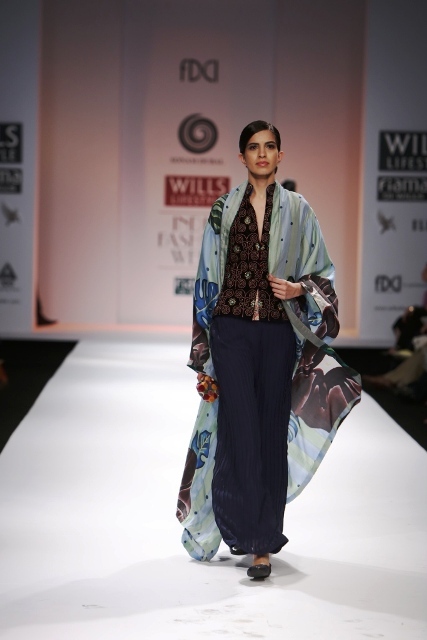 Chintz embroideries and the hand painted sarees and silk kaftans were beautiful. 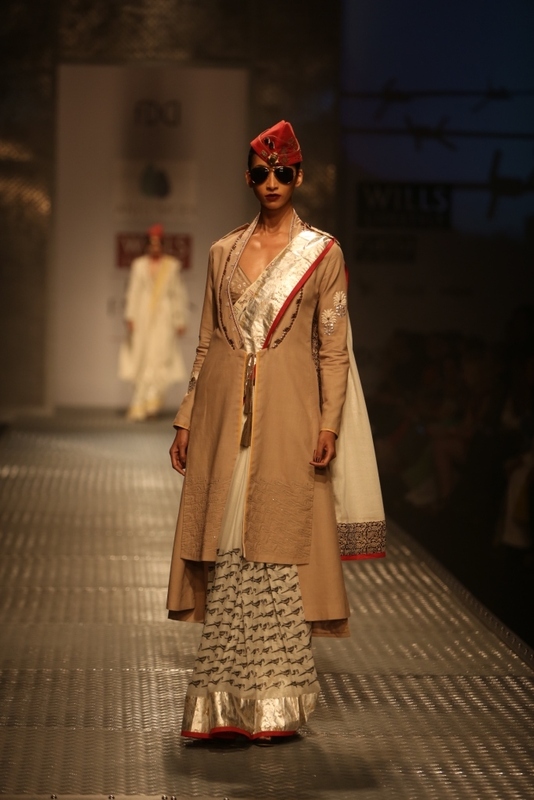 Anju Modi really pushed the boat out with her collection entitled Steel Magnolia. 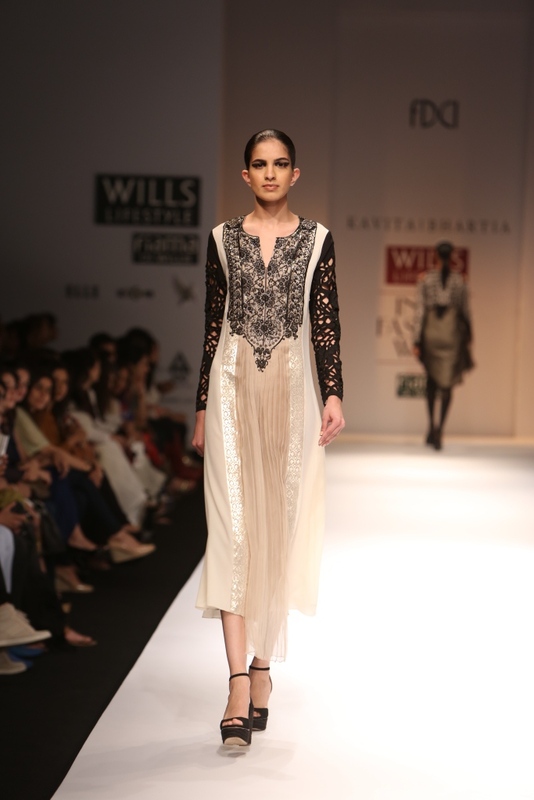 Strong women was the message she wanted to get across and to emphasise the point her designs had a strong military reference.